I came across the CyberChimps’ website when I was searching for a free responsive WordPress theme for my series of the theme review, and then I saw Responsive. Firstly, I was really impressed by how the author named this theme. “Responsive” is an adjective showing the full response of a website on all sized equipment and now it becomes a proper name of the product. It shows that CyberChimps author has a good SEO knowledge in mind, they know how to take advantages of SEO and Google searching. An attractive advertisement about Responsive on their website caught my eyes: “Over 1.5+ million downloads and counting! Launch an impressive responsive website for free that looks amazing on smartphones, tablets, and desktops”. Over 1.5 million downloads sound good but I did not want to get tricked by just what the advertisement said. I checked the official free WordPress theme and plugin directory. The Responsive theme was listed there. It had more than 100,000 active installs and 251 five-star ratings. And then there was no doubt that I downloaded this package to my computer and give all of you the review of this free responsive WordPress theme today. The installation has been done very smoothly and simply just in some minutes. Frankly speaking, I have been a little bit surprised and turned to disappointed because there was no demo data or anything else but an intuitive foundation as mentioned in the description. However, looking deeply inside the appearance part, I was very much impressed with the flexibility and the customization ability that Responsive theme brings. There are 3 home widgets taken from 11 widget areas and everything in the homepage is editable such as heading, subheading, “Call to Action” button, links and so on. Besides, the customize panel offers you the endless ways to configure the website. You can easily customize site identity, theme elements, homepage, CSS styles, scripts, footer, social icons, color and much more. In order to enhance the creative ability for users, Responsive provides 9 custom templates organized in different layouts, custom background with the image selected, custom header used for logo upload and 4 custom menus. These awesome things are enough for me to forget the demo data issue, I am even appreciated that because users will have no limitation to create. Responsive is the best free responsive WordPress theme that you can use for any purposes or fields. With the huge development of the Internet and mobile devices, more and more people trend to switch to smartphones and tablets to access. Hence, the full responsiveness or mobile user-friendly and Retina ready features of Responsive bring the perfect look and best quality of your website in any devices. Furthermore, it helps increase the traffic because users can now access to the website at anytime and anywhere. CyberChimps seems to understand clearly beneficial factors for good ranking on the Google searching results because Responsive Theme is well-coded with SEO in mind, all elements in the theme are simplified for high speed. We have already known that Google highly appreciates good SEO and speedy websites. 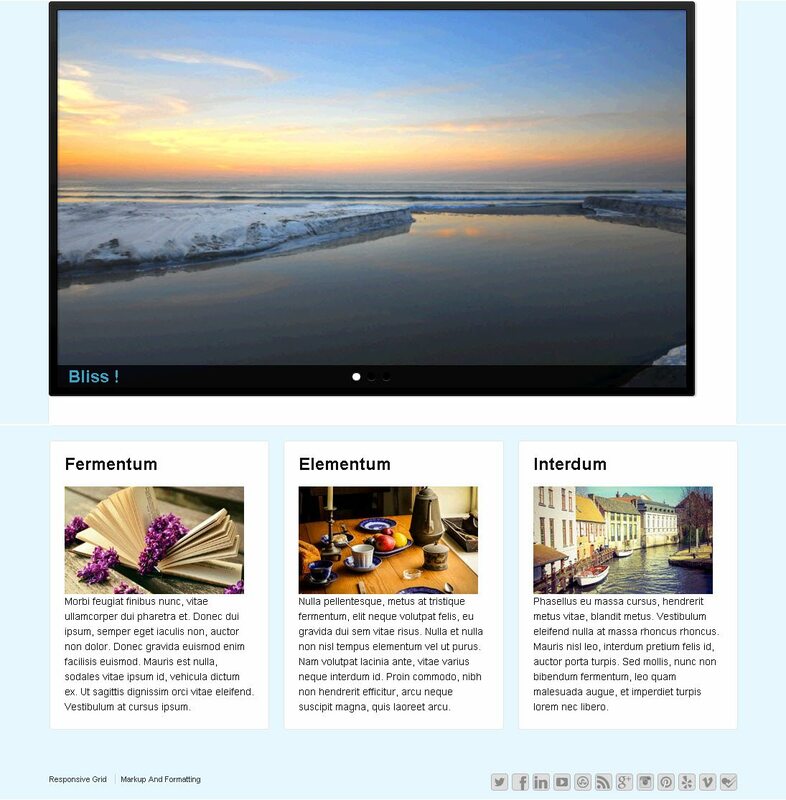 In order to set high protection and security for Responsive, a child theme is supported in the theme package. The child theme inherits all functionalities of the parent theme. Therefore, you can change, modify code or add anything to the child theme without losing the changes when updating the theme. All of the things you need to do are downloading the child theme example, reading the documentation and editing the file content according to your demand. With a normal free WordPress template, it is hard to find Right to Left (RTL) translation feature because the RTL languages are only popular in Central Asia countries. However, Responsive supports this. Furthermore, it is translation ready with WPML and translated into 45 languages. In addition, you can use Responsive for any kind of online shop website because this free WordPress theme is compatible with WooCommerce – the most powerful eCommerce plugin. Especially, the iFeature Slider Free plugin by CyberChimps is included in Responsive. This easy-to-use and powerful plugin helps display images beautifully and attractively. Besides, you can rearrange slides just by drag and drop. The free theme sounds no customer support service? CyberChimps is different from other authors because they have an active forum for Responsive on both WordPress.org and their main website. Just make a try and you will see how professionally they are working. An outdated theme is really a nightmare for any users because it surely comes with conflicts and turns upside down. Although Responsive is just a free theme, CyberChimps puts very much concentration on it. The theme is updated frequently and it shows the serious behavior of the author. I am not making the advertisement for Responsive and CyberChimps because the changelog is clear proof for my word. They even created Responsive II – an HTML5 Mobile-first Responsive WordPress Theme and Responsive Pro theme for the free Responsive theme. Responsive Pro – What do we have? If you ask me: what is the best free responsive WordPress theme I could introduce? I will definitely answer that: Responsive. A good free theme should have a good idea, features, functionalities, well code, customer service quality, and Responsive is such theme. If a free version limits your creation and imagination, let think about Responsive Pro. Believe me and then you are on the right track.